This salmon vegetable frittata makes a nice change for your breakfast. With healthy vegetables, lean smoked salmon and other flavors, your whole family will dig into this meal. Of course this is not just for breakfast. Add a tossed salad and some garlic bread along with the frittata and have it for dinner. This is one of many WW FreeStyle friendly recipes on this site. Since the eggs, veggies and salmon are on zero points now, the total SmartPoints are only 1 point. So no need to worry about going over your daily allowance. Sauté mushrooms and onion in melted butter using an oven-proof skillet for about 3 - 5 minutes. Whisk eggs, milk, paprika and pepper with a wire whisk until well blended. Add smoked salmon and the egg mixture to the cooked onions and mushrooms in the oven-proof skillet. Blend together. Place pan in the oven and bake for 30 minutes. Cut into 6 wedges and serve. For this salmon vegetable frittata the nutrition facts shown below are per serving. The number of serving is noted in the header section below. The serving size is the first item noted on the nutrition facts table. The salmon, eggs and vegetables are not in included in the calculation of the FreeStyle SmartPoints. All other points do not include the veggies. If you don't have an oven safe skillet, simply transfer everything into an oven safe baking dish. Here's some tips from Incredible Egg on how to cook a frittata perfectly. 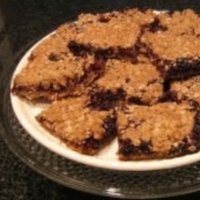 Make up these blackberry bars over the weekend and then use them for a quick and fast breakfast during the week. 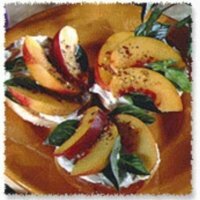 This breakfast sandwich idea combines the sweet flavors of nectarine with basil, red pepper and cream cheese. 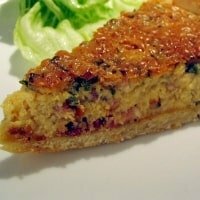 Start your day off with the flavors of bacon, melted Swiss cheese, creamy eggs that make up this quiche lorraine. 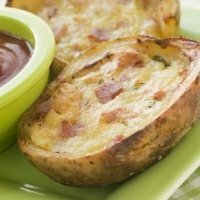 This stuffed potato is so filly you may want to have it as the main course instead of just an appetizer. 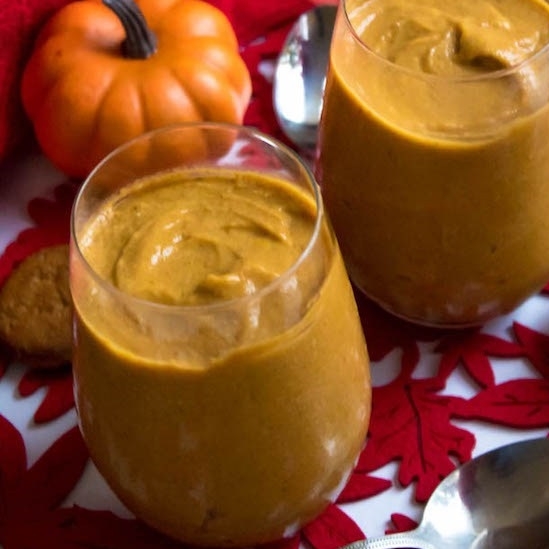 This pumpkin pudding recipe is so creamy and delicious and is the perfect ending to your dinner meals. 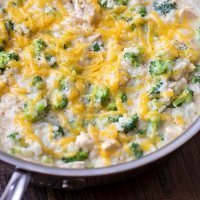 Make cleaning up after dinner a breeze with this skillet recipe as it all goes into one pan...and tastes great! The salmon and eggs in this recipe are now zero points. So are over 200 food items. Read this article to see if you favorites made the cut. Did you know people who eat a healthy breakfast tend to lose more weight? Find out what else can help you with your weight loss goals with these tips. Use this free online calculator to see how many calories you burned during your workout.